DON’T use your crate as a punishment device. Even crate trained dogs need exercise, interaction, and training. DO put your crate in an area where your family spends a lot of time. Dogs are pack animals and want to be included in the action. DON’T leave your pet’s harness or collar on while it is in the crate. DO praise your dog for going into the crate. Feed him/her meals inside and provide safe toys. 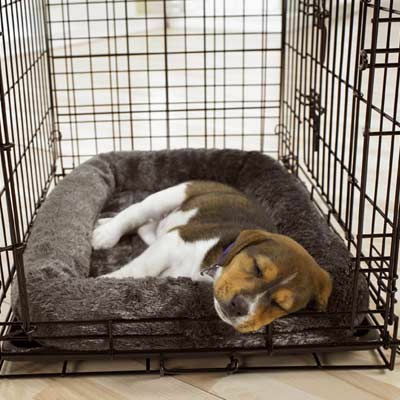 DO start by asking your dog to stay in the crate for only short periods of time while you are home. 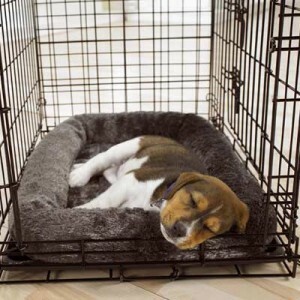 DON’T leave your dog crated for too long. For puppies under 7 months of age, a good rule of thumb is no more than the number of hours equaling the dog’s age plus one. (So a 4 month old puppy can be crated up to 5 hours). 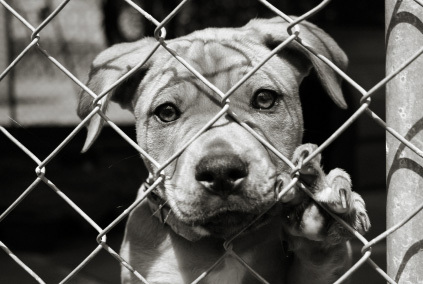 Did you know that 6-8 million pets end up in shelters every year? And that half of those are typically not ever adopted? Most of these pets end up in this sad situation through no fault of their own. “Moving” and “landlord issues” are the most common reasons given when a pet is relinquished. This means that your local shelter and rescue groups are filled with loving, family-friendly pets that just want to find a forever home. When you adopt a pet, it typically is less costly than purchasing one or even getting one for “free”. These pets often are fully vaccinated, dewormed, microchipped, and spayed/neutered. A shelter or rescue can even help you to choose the right pet for your family. By adopting a pet, you are doing your part to help the pet overpopulation problem. So spread the word! Tell us about your pet adoption experience! Cataracts are, unfortunately, one of the most common eye problems in pets. They are opacities in the lens of the eye and can affect any age, species, or breed. Most cataracts are inherited, but pets with diabetes, trauma to the eye, or other ocular inflammatory diseases can also develop them. Some cataracts can result in complete blindness. Many pets do well without any type of treatment, however others develop problems such as glaucoma secondary to the cataracts. Others may suffer decreased quality of life related to blindness. There is no way to reverse cataracts, however a surgical procedure can be performed by a veterinary ophthalmologist in which the affected lens is removed. This procedure, which is quite delicate, involves extensive aftercare. In the carefully selected patient, however, it can almost completely restore vision. 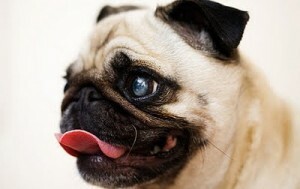 Consultation with an ophthalmologist can help determine whether your pet might be a good candidate for surgery. Long live your feline friend! Keep your cat indoors if at all possible. Disease, parasites, predators, and man-made dangers such as cars lurk outside for even the savviest of kitties. Follow veterinary care recommendations. Routine examinations, vaccinations, parasite prevention, and dental care are important. We have your cat’s best interest at heart and knows that including these types of things into your care routine is vital to your cat’s well being. Provide an enriching environment. Cats are naturally curious, and the indoors can get boring. Interactive toys and climbing equipment are enjoyed. Also, dedicated playtime that utilizes your cat’s hunting instincts is important. Lure toys, laser pointers, and other cat-specific toys are great for this. Emphasize good nutrition. 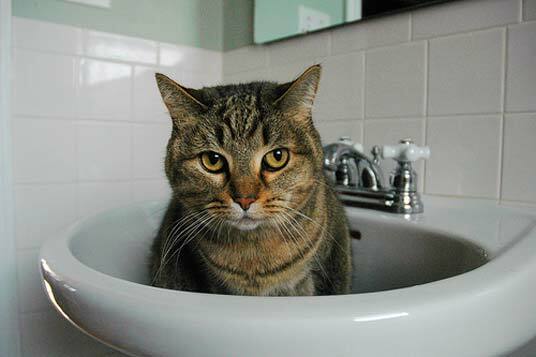 Provide fresh, clean water and a quality, balanced diet for your cat. Consult with your veterinarian if you think your cat is under- or over-weight. If you have any questions or would like to schedule an appointment for your cat to be seen, give us call!